What’s the best time to sell your car? Easy: when it isn’t broken. So I am indebted to Mrs Ruppert for telling me she fancied a change after three trouble-free years in our BMW X5. Mrs Ruppert is small, fragrant and truly believes that size matters. The gargantuan SUV was designed with her in mind. She likes to see the road ahead and, unlike some motorists, can actually reverse slot and parallel park without drama. So it was natural to consider another used high-rise vehicle as a replacement. Our first choice was a Mercedes-Benz ML, but that proved more difficult than expected. Did I mention we were after a petrol? I am firmly in that camp and both the X5 and the Mitsubishi Shogun we ran before it proved that in terms of reliability and cost, rather than mpg, petrol has been the right choice. We drove to Leicester to look at a ML350 which was the wrong side of scruffy, especially at an asking price north of £7000. The same dealer did have a Land Rover Defender 50th Anniversary for sale at £30,000, a price that represented a £120k saving on the V8-powered one Land Rover has just made for the iconic 4x4’s 70th birthday. Not enough to persuade Mrs R.
Our interest in another ML350 waned when it became clear that the selling dealer was flogging the car for a mate and the price was north of £9000. ML500s were next on our list, but we decided we didn’t want a V8. For a brief period we considered a Lexus RX, even if it is rather dull. A hybrid version was a temptation, but ones that are more than a decade old might need some battery parts and I read online about someone who spent £2000, which put me off. All this time my mate Bradley was sending me details of motors hot off the part-exchange merry-go-round. The best was a Range Rover Vogue, which looked lovely, but it was still a Land Rover and, despite the BMW 4.4 V8 under the bonnet, it wasn’t enough to make me take the plunge. Then Mrs R saw a Porsche Cayenne and we were off. As I mentioned earlier, we didn’t need a V8, so we spent a day shopping for a V6, rejecting one on the grounds that it was rather too black and scruffy. Then we went and bought a 2006 example with issues. On the test drive, it made a woofling sound that seemed to be something to do with the air intake. There was also a ding or two and it needed a service so we agreed to let them sort it out. We sold the X5 and waited. And waited. They said they were buying a special tool from America to stop the woofling... so we unbought it. It turned out that we did want a V8, after all. There was one that was pricey, fairly close to home. Oddly enough, it had the same ‘woof ling induction sound’, plus the tailgate would not stay open. 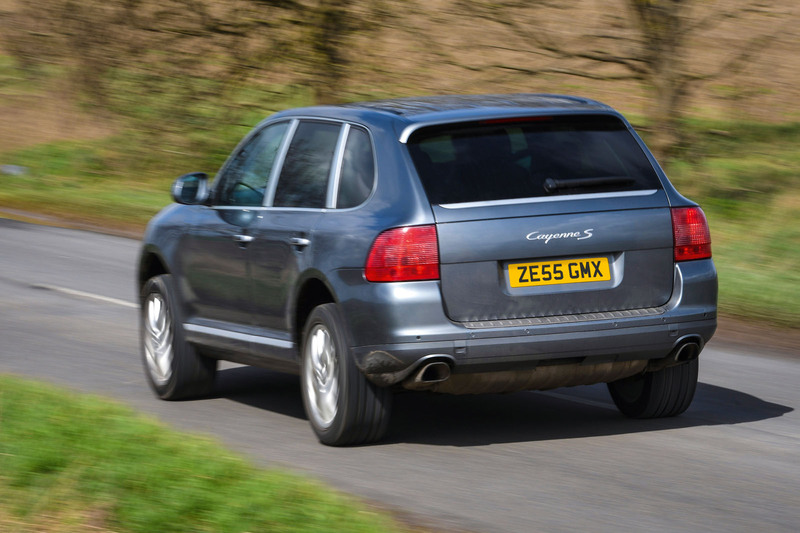 If you’d seen the number of Cayennes we had, that was a pretty standard issue. 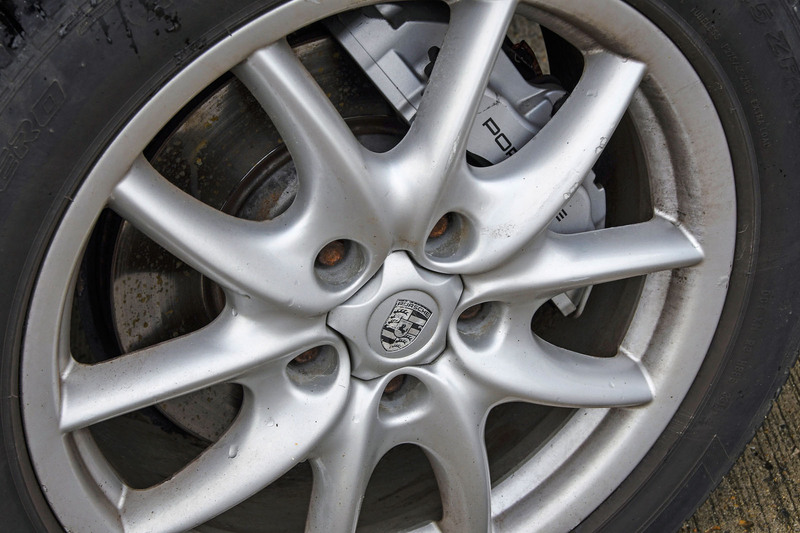 The dealer wanted £9800 for a 2006 car but, for that kind of money, we wanted things fixed. They looked at us like we were too much trouble and never called back. Perhaps they weren’t car blokes, although they virtually high-fived me for turning up in my E21 3 Series. At the end of another long day, we found this 2005 Cayenne S V8 with 96,000 miles and a couple of previous owners. After negotiation, we bought it for £6000; it needed a service, the rattly suspension sorted and a parcel shelf within that price. I broke a buying rule – don’t buy a used car with a tow bar. There aren’t enough days left in the year to continue the search for a better Cayenne. There is the fading stench of old dog, the mpg is marginal, but it is super-comfy. I call it the Flying Pig; my nickname is the only thing Mrs R doesn’t like about her new car. 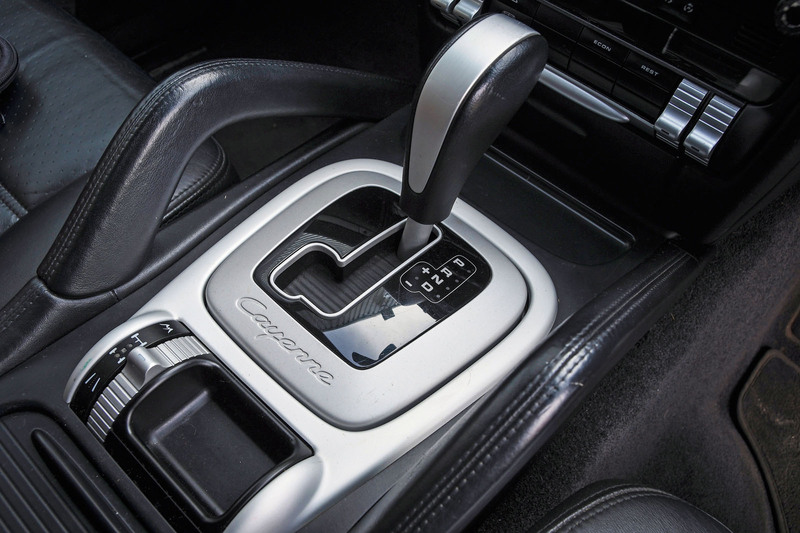 HISTORY - A Cayenne doesn’t require the specialist care that Porsche’s sports cars need, so might not have a full set of main dealer service stamps. TYRES - It’s encouraging to see a well-known brand of tyre fitted. It shows that the previous owner cared about the car. BODYWORK - Scruffy Porsches are not really acceptable. Although cosmetic flaws can be lived with, they will cost a lot to sort out properly. ISSUES - Unless you have a firm handle on what things cost to fix, get the seller to sort out any problems before you buy. TEST DRIVE - A seller shouldn’t make excuses or curtail an exploratory drive. Take your time to fully assess the car. Hello James, I’ve missed your little pieces , always worth a read, I am looking forward to your reports on the Cayenne, a question....what’s with the Face fuzz....? He seems to be going for the Vic Reeves look. You should probably fix that revolving numberplate... ZE and KE are too similar. ...yes the plate made me chuckle too! Why so sniffy about tow-bars? Leonard - is that you? ...ia am looking forward to reading the ongoing couple of years reports, to see how expensive (or not) it proves to be to run. I have considered one of these before....but put off by running costs horror stories (despite it basically being a Touareg). Like you I always buy petrols, but in my case always V8's. The difference in fuel cost is minimal in large 4x4's, but the driving is so much more relaxed than a V6. A few more spark plugs at service time (4 if your Porsche has twin plugs like my Mercedes-Benz). Like the rustic look James, I wouldnt recognise you in the street now. Just need the Homburg, leather driving gloves and silk scarfe to complete the Setright look! Fit right in up in Norfolk!!! also noticed that you managed to find one that hadnt had stupid 20/21 inch wheels retro fitted to make it look newer. Yes like these reads on older quirky cars. 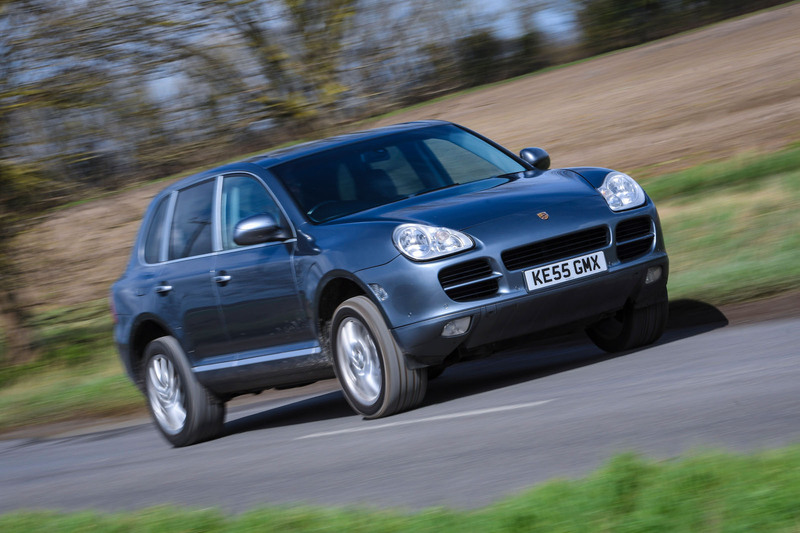 But the first generation cayenne looks like a turd rolled in glitter. Even the mid 2000's kia design team would grimace at this one. Ahhh gawd I just looked at the pics again....I think tonight's balti is making a reappearance.....sick!